The new TROX energy costs calculator for filters lets you find out quickly and easily what energy costs various filters incur over time. Click here and calculate your engery costs. Eurovent Certification for Air Filters has adapted its certification programme for energy classification for in order to adapt it to the new filter classes of ISO 16890. Certification hat ihr bisheriges Zertifizierungsprogramm zur Energieklassifizierung von Luftfiltern den neuen Klassen der ISO 16890 angepasst und strukturiert. 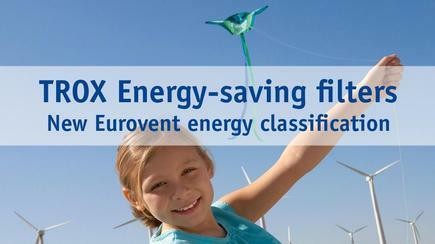 You would like to know the most important facts about energy classification according to Eurovent and how you can save energy costs with the right filters? The TFP pharmaceutical clean room terminal filter has a new patented turn clip allowing for easy, time-saving and secure filter change. The air terminal device is held in place by magnets and can be hinged down to facilitate cleaning and validation. The newly designed supports for mounting in false ceilings are very flexible. This is why it is easy to adapt the filter to different building requirements during installation. 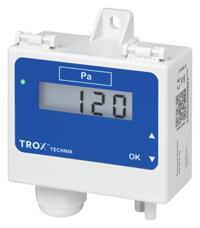 For type TFP technical information click here. Too deep, too high, too low, too narrow? No problem! The TFC particulate filter is extremely versatile, going much further than the standard range. Regardless of how your requirements are, TROX can deliver exactly the right solution to meet your unique requirements - in standard delivery time. You need a solution straight away? 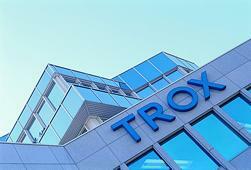 Please contact Mr Patrick Seitz: Email: p.seitz@trox.de We look forward to hearing from you. For type TFC technical information click here. EN 779:2012 is replaced by ISO 16890:2017, which results in new order codes. Download the overview here – it makes ordering a breeze! Adverse health effects of fine dust in the outdoor air. A report by the German Environment Agency of 4 November 2016 states that particulate matter pollution does indeed impair people's health. In the years from 2007 to 2014, an average of 45,300 premature deaths are attributed to the fine dust concentration in the outdoor air in Germany each year. Therefore, effective filter systems in room air conditioning systems that separate the fine dust from the outdoor air are an important contribution for maintaining good health.